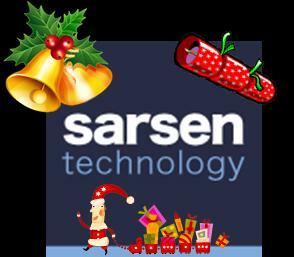 The Sarsen Technology team will be available to help you right up until Friday 21st December. Our offices will be closed from Monday 24th December until Tuesday 1st January. We will be back in the office on Wednesday 2nd January. Please let us know if you need anything before then by calling the office on +44 1672 511166, or emailing us - info@sarsen.net. Merry Christmas and a Happy New Year from The Sarsen Team.